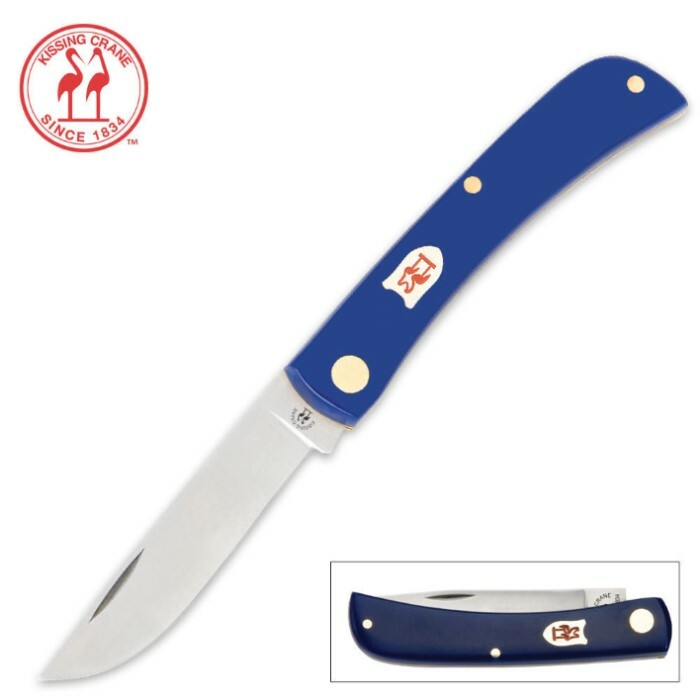 The Kissing Crane Blue Gentleman Folding Knife features a 3" stainless steel blade with nail nick. Blue synthetic handle with the distinctive Kissing Crane shield, brass liners, and nickel silver pins. 3 5/8" closed.